Being stuck in a job you hate is stressful, but searching for that next employment opportunity while still working has its own share of stresses. While you want to avoid being found out by your current company, who may act against you, should they learn of your search, you still don’t want to trap yourself in your current job in the name of fear. How you leave your job is an indication of who you are and can affect your career in important ways. 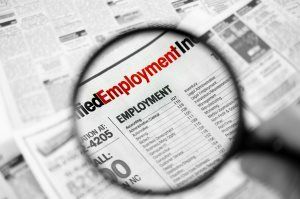 So, should you inform your employer of your search? What do you do about professional references? How much of a notice is enough? This article attempts to answer these questions, which can have a significant impact on your next career move. The job market is notoriously slow at this point in history, but this doesn’t mean that if you feel unchallenged or fear for your job security that you shouldn’t look. In fact, the market may be more active than you think. So don’t discourage yourself from looking for other opportunities just because you think it may not be worth the effort. The trick is to skillfully look for new jobs without burning bridges and potentially even making your professional network stronger. Your first move should be to take stock of the skills at which you are most successful. You have to figure out exactly what you are looking for in your next employment endeavor. Once you’re clear on these items you can take a realistic look at the market to see if there are actual jobs out there that suit your needs and vice versa. The first thing to consider, after you decide what you want in a new job, is to give your current company a shot. Search the internal job postings for opportunities that may be more satisfying to you. Not only do you have a better shot at landing a job at a company that already decided to hire you once, but you also have access to consultants already at your fingertips. However, if you are certain you want to leave, it is time to turn your search to the external market. At this point, it is best to be tight-lipped about your job search, even though you may want to air your frustrations or exciting to your social network. Even using your office email to share information about your search is a no-no. Not only can it just be a big hassle and distraction for everyone to know that you are prepping to leave, but it can also lead to retribution or embarrassment if you are unable to find another position. Yet, all of that doesn’t mean you can’t confide in trusted members of your inner circle; even if they happen to be colleagues. And sharing may also help in the careful networking you need to undertake in order to look for new opportunities. You should also be reaching out to employers without appearing too desperate but letting them know you are interested in exploring new opportunities. Once you start landing interviews, don’t sneak out of work or concoct fake emergencies. Try to fit the interviews in without drawing attention to your absence. For example, you could take vacation time if the job is promising enough. References can be tricky in that you can’t use your current manager if he or she is unaware of your job search. Instead, use names of past employers and colleagues. If candidate employers require a current reference, offer to provide a reference from your boss at the time of receipt of a job offer. This presents an additional tricky step in that you’ll need to convince your boss to give a good recommendation despite potential frustration at your leaving the company. Now that you have interviewed and gotten a new job, it’s time to let the cat out of the bag and give your two weeks’ notice. If you are in a position of authority, such as senior management, you may need to give even more time to keep the respect of your employer. In these cases, you may need up to a month of transition time before you can jump ship without burning bridges. The worst thing you can do at this point is to simply walk away as leaving on bad terms can be dangerous to your future career. In sum, don’t overlook internal opportunities before you start looking for employment elsewhere. Keep your search a secret, at least until you begin interviewing. Give at least two weeks’ notice before walking away from your job. Unless you have a great relationship with your boss, it is probably wise to keep your job search a secret until turning in your notice. And don’t use fake scenarios to go to interviews. Secrecy can be the key ingredient to successfully transferring away from your current job but always consider the repercussions of a poorly executed move.